A member of PMMI , HEISLER Industries is a world leader in packaging equipment manufacturing and 5-gallon pail handling equipment. All of our equipment is designed and manufactured in the USA. 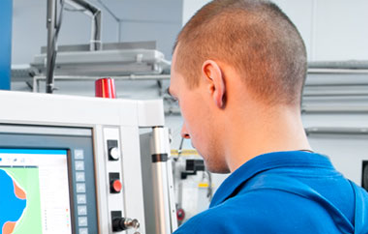 We are a single-source solution for system and design integration, providing complete filling and packaging equipment system lines, packaging equipment machines, pail handling equipment, and even custom equipment to address your unique need. 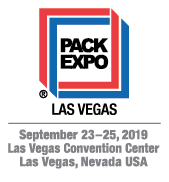 Stop by the HEISLER booth #C-4025 at Pack Expo Las Vegas, September 23-25. Quickly and efficiently separates the top portion of a container lid from the locking ring. Applies labels on containers from 1/2 pint to 7 gallon; F-Style containers, cases, and water bottles. Cold glue, pressure sensitive and print & apply machines. Eliminates the need to manually separate, orient, and place a metal or plastic lid onto an open, filled container with or without closing options. Packs almost any shape container in various pack patters into cases or trays, and seals them using glue or tape.